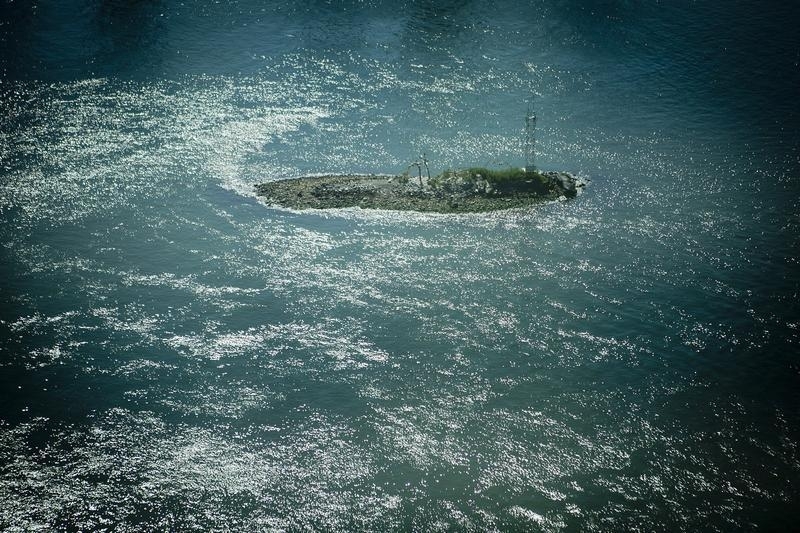 A looming sale of four islands near San Francisco is emblematic of California’s water woes. A Zurich Insurance subsidiary looks set to sell 20,000 acres in the Golden State’s northern water hub to a major utility in the south. The transaction may end up part of a larger $15 billion project being pushed by Governor Jerry Brown to improve storage of and access to water. But it raises broader concerns facing the state four years into its mega-drought. First is the matter of water rights. The often ad-hoc nature of how these were granted in the 19th century has made dealing with recent scarcity even trickier. In this case, at least, Delta Wetlands Properties – the Zurich subsidiary – is not flipping rights for a quick buck. Unlike other investors who have come into the market recently, it has owned the land in the Sacramento-San Joaquin River Delta for years. Taking the water south, though, recalls the controversy of previous mass diversions – not least those undertaken 100 years ago by Los Angeles city official William Mulholland. Whether such huge construction, rather than conservation, projects make sense is up for debate. Brown, though, has earmarked state cash for big water infrastructure ventures. That’s the larger plan with the area the four islands are in. Brown already wants two 30-mile tunnels built through two of the islands to help channel water elsewhere. He expects urban and farm customers downstream, not taxpayers, to pay for the construction. The Metropolitan Water District, whose board has voted to seek an option to buy the land and which may explore building a reservoir to store excess water in wet years, is only expected to stump up a fraction of the cost. That means many relatively small agricultural water districts will need to try their hand issuing bonds for the first time. Getting all the cash needed is, therefore, far from a sure thing. Ecological factors have become a flashpoint, too. Proponents argue the tunnels would improve the plight of fish populations. Critics caution it would merely shift habitat damage to a different part of the estuary. At the center of it all, of course, is what California does with its water. Agriculture accounts for some 80 percent of usage, which looks increasingly unsustainable the longer the drought lasts. A multibillion-dollar project that could help sustain Big Agriculture’s supplies just adds to the mire. Southern California’s largest water agency, the Metropolitan Water District, voted on Nov. 10 to seek an option to buy 20,000 acres of river delta land east of San Francisco. Though financial terms were not disclosed, land values cited by the agency range from $150 million to $240 million. MWD could use the land to store and later sell water, though the purchase would not guarantee water rights. The land is situated on islands at the hub of California’s water system and belongs to Delta Wetlands Properties, which is owned by Zurich Insurance Group’s U.S. subsidiary. Two of the islands lie directly in the path of tunnels a plan backed by Governor Jerry Brown is proposing to build to divert water to the south of the state. On Nov. 2, the California secretary of state’s office said enough voter signatures had been gathered to place a measure on the state’s 2016 ballot that would give voters a say on whether revenue bonds could be issued to raise more than $2 billion to help finance public works.